Gorillas are a sub-group of the family of great apes. They are mammals. the Cross River gorilla (Gorilla gorilla diehl). The cross river and mountain gorillas are endangered species with under 1000 (combined) still remaining in the wild. Gorillas live in family groups of about a dozen, led by a dominant male. This dominant male is usually over a decade old and is called a "silverback" due to the silvery colored hair on his back. Males younger than a decade old are called blackbacks as their hair has not yet turned silver. 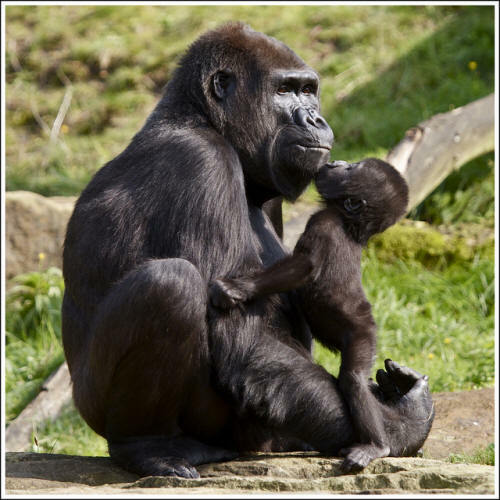 Similar to humans, gorilla mothers are pregnant for 8.5 months and tend to give birth to only one baby at a time. They nurse their baby for about 3 years. 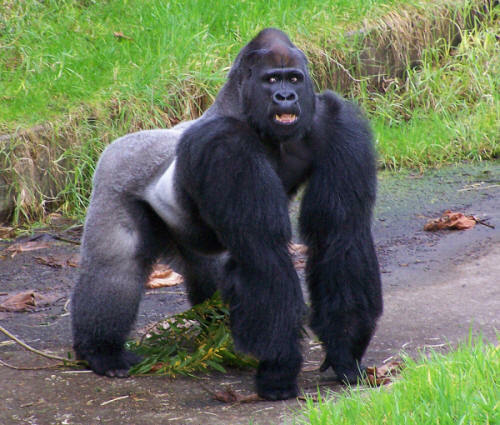 An adult male gorilla is the size of a human, but three times as heavy (they weigh up to 600 pounds). 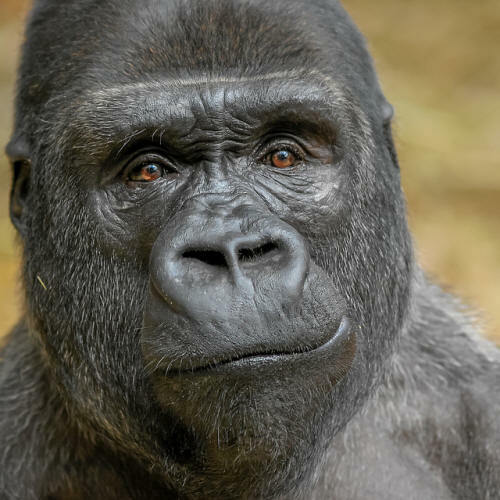 Although gorillas are considered plant eaters, their favorite food is termites -- the protein, minerals and fat of these little insects is important to their health. The gorillas break open the termite nests and enjoy a feast at a leisurely pace. When not eating termites, gorillas spend most of their time feeding on fruit -- they live on a diet of as many as 100 different types of fruit. A gorilla's arms are longer than its legs and they tend to walk on all four limbs, curling their hands into fists and "knuckle walking". Gorillas are most active during the day, but they are shy. At night, they make nests of grass and leaves to sleep in.